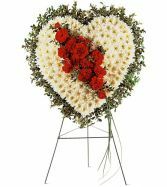 The heart is a universally recognized symbol that expresses love, devotion and affection. 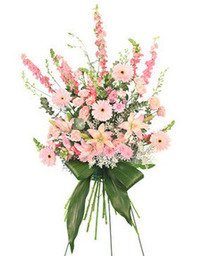 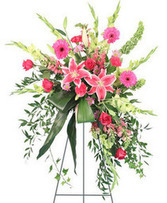 And this Rose Garden Heart flower arrangement – created with a dozen pink roses, plus mixed flowers in shades of pink – will express your heartfelt thoughts to everyone in attendance. 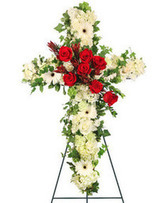 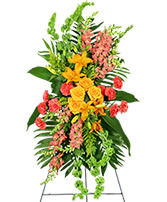 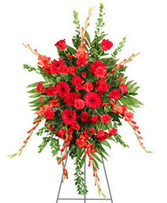 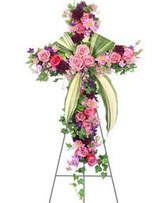 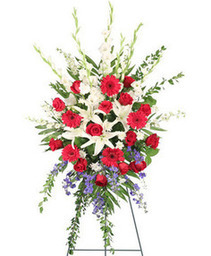 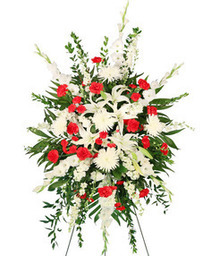 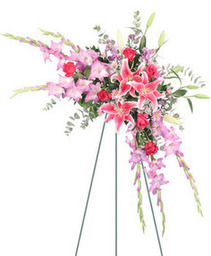 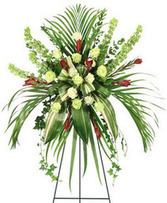 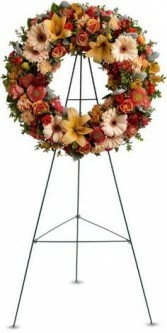 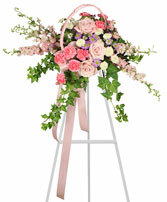 A Standing Wreath Of Fresh Flowers Such As Roses, Asiatic Lilies, Carnations, Gerbera And Stock, In Shades Of Peach, Orange And Red Accented With Greenery Is Delivered On An Easel, Approximately (W) X (H) (Dimensions Do Not Include Easel). 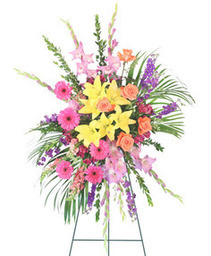 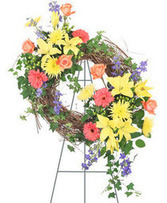 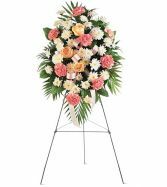 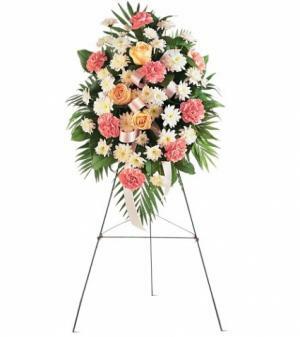 This colorful display of Wreath of Remembrance flowers – a circle of peach, red and orange blooms such as roses, Asiatic lilies, gerbera and stock, delivered on an easel – is a charming tribute of funeral flowers and a sign of your esteem. 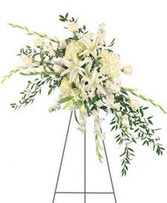 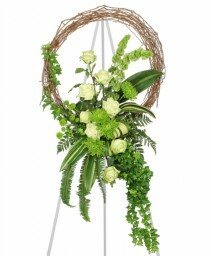 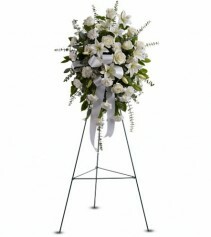 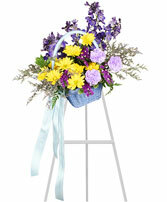 A Standing Wreath Created From Fresh White Flowers Such As Roses, Asiatic Lilies, Carnations And Cushion Spray Chrysanthemums Accented With Greenery Is Delivered On An Easel, Approximately (W) X (H) (Dimensions Do Not Include Easel).